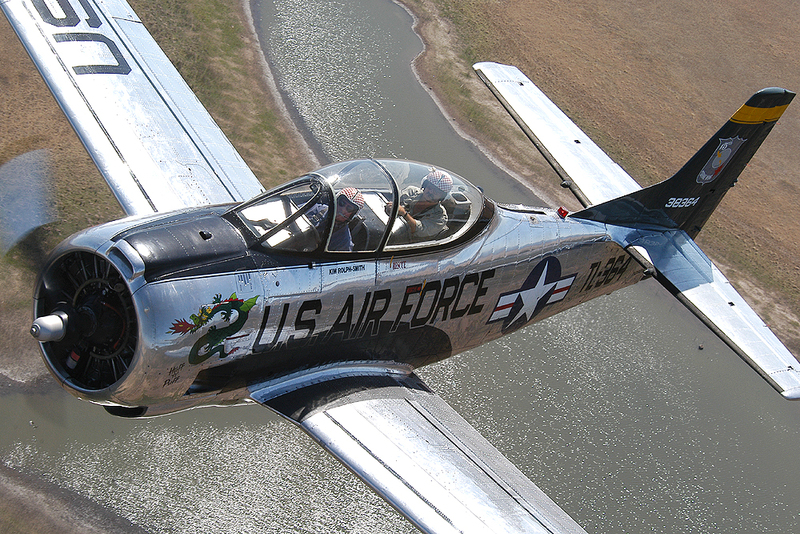 Warbird Aviation is Australia’s first Warbird Adventure Flight company that initially started with a North American T28 aircraft VH-SHT and a T6 Harvard VH-USN. Based at Archerfield Airport which is only a 15 minute drive south of Brisbane city. 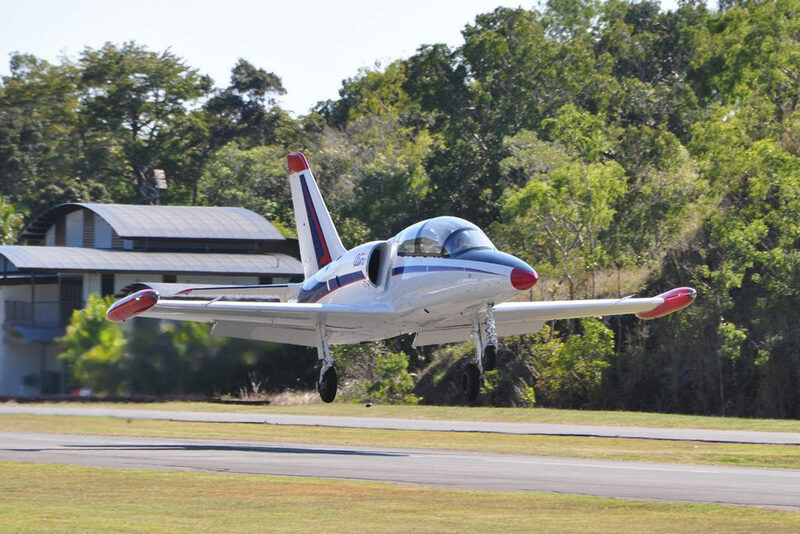 We currently operate 3 aircraft; A T28D Trojan, a Yak 52 and an L39 Albatros jet. We are Australia’s first Warbird adventure flight company. 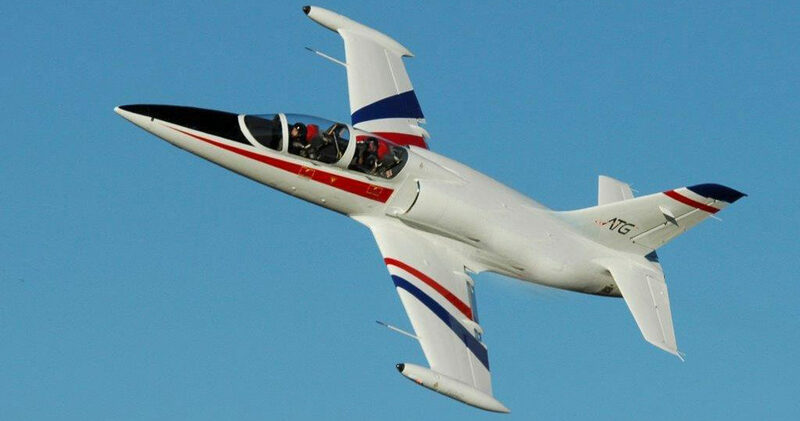 We have a great variety of aircraft with different flight options and pricing to suit. You choose your adventure and aircraft and when you want to fly. This is the fastest motor sport anyone can experience in Australia with aircrafts top speeds of up to 900km per hour. We only fly when the weather is suitable. Should the weather not be suitable on the day of the flight we will postpone it for another day. This activity is classified as one of the safest of all adventure style activities in Australia. We pride ourselves with an accident free record. These aircraft are too valuable to take any risks and are maintained by very experienced approved licenced CASA aircraft engineers. Probably the most dangerous part of our activity is driving too and from the airport. Should a passenger be unwell the day of the flight, it is recommended they contact us to postpone their flight for another day. Most flights are over beautiful Moreton Bay and North and South Stradbroke Islands. 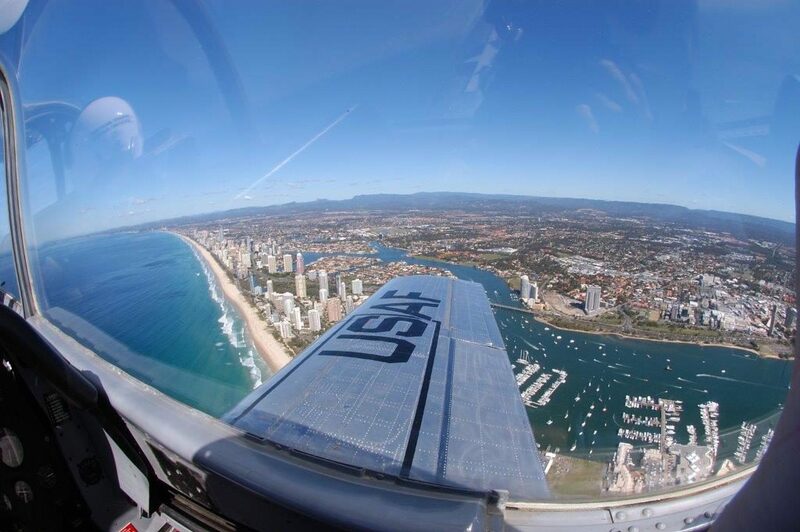 Some flights are conducted off the beach at Surfers Paradise. These are a must for anyone taking any flights. They are great to show family and friends of your experience and a fabulous keep sake of the flight. Each time you fly with us and post your experience on our website via Facebook or Instagram you will go into our 6 monthly draw to win an exciting aerobatic flight. The passenger’s family and friends are welcome to come and see the aircraft take off and land. We also provide some seating in the hangar for those that choose to stay. You are welcome to get photos around the aircraft on the tarmac. What a great gift for someone special or just yourself. Experiences can be personally tailored to your needs from an extreme flight experience to a mild one. We will accommodate for everyone’s choice of flight and budget.